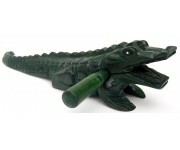 This beautifully hand made wooden Alligator Noise Maker sits at 8" long. It is a classic musically sounding reptile that roars when you stroke his back. 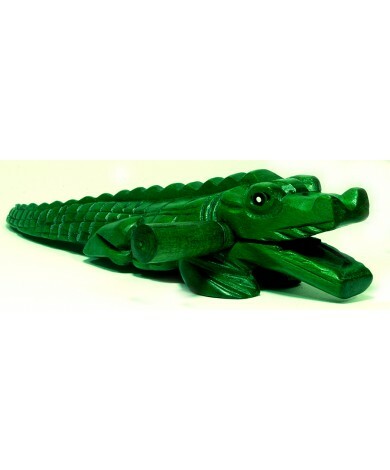 This "lighter green" smaller version of our two wooden Crocodile (Crocodylidae) tetrapods, is handmade in a Eco-Friendly and Fairly Traded work environment in Thailand.